Depart from the center of Chiang Mai city, this wonderful sightseeing tour to Doi Inthanon National Park will let you discover the wild natural beauty of Thailand from high peaks, breathtaking waterfalls and lush green valleys. After a scenic drive through the countryside of Northern Thailand, follow your local guide to visit the two stunning waterfalls in the Doi Inthanon National Park, which are Siritarn and Wachiratarn Waterfalls. These cascades are beautiful all year round but roar with life during the rainy season. Continue on and meet members of a local hill tribe village. After a satisfying lunch beside a waterfall, take an easy nature trail walk to the Doi Inthanon Summit, which is the tallest point in Thailand at a height of 2,565 meters. Follow this with a visit to the twin pagodas that were built in honor of the King and Queen of Thailand. These mirrored buildings sit atop the mountain and are surrounded by manicured flower gardens with jaw-dropping views of the valley below. The trip ends with a visit to the King's Royal Projects. Opium was once harvested on the mountainside but now more sustainable farming techniques are being practiced. There you'll find a coffee plantation, cool-weather fruits, and vegetables, well as exotic flower gardens. Your local guide will take you back to Chiang Mai city and drop off at your hotel lobby at around 06:00 PM depending traffic condition. A long day full of stunning sceneries and highlights of Doi Inthanon will certainly leave you with insightful experiences and lifetime memories! 08:00 AM - 08:30 AM: Pick up at your hotel in downtown. 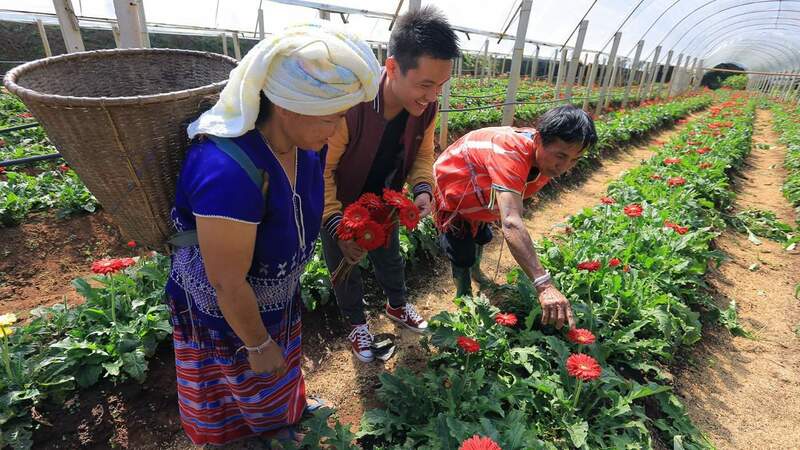 Meet your local guide and start your day exploring Doi Inthanon National Park from Chiang Mai. 10:30 AM: Arrive at the Siritarn Waterfall. 11:30 AM - 12:45 PM: Arrive at the Wachiratarn Waterfall and enjoy a delicious Thai set lunch at a local restaurant. 01:00 PM: Take a guided walk along the nature trail to Thailand's highest peak and explore the diverse ecosystem in one of Asia's largest tropical forest. 02:00 PM: Visit King and Queen pagodas. 03:00 PM: Visit the King's Royal Projects. 03:30 PM: Depart from Doi Inthanon National Park. 05:30 PM: Transfer back to your hotel in Chiang Mai and conclude the tour. Dress code: Please wear comfortable clothes and walking shoes. Bring your own hat, sunglasses, bottled water, etc. to prevent heat stroke. Fantastic day trip with a great lunch. The guide MuMu was super knowledgeable and funny.